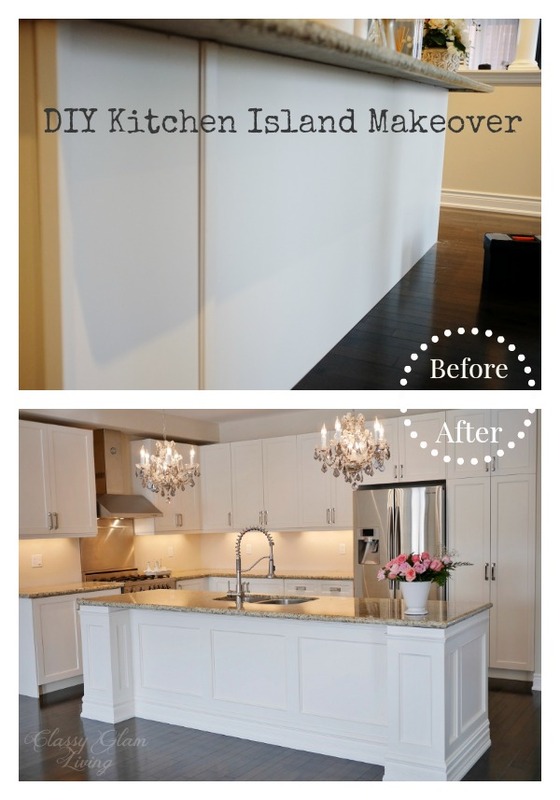 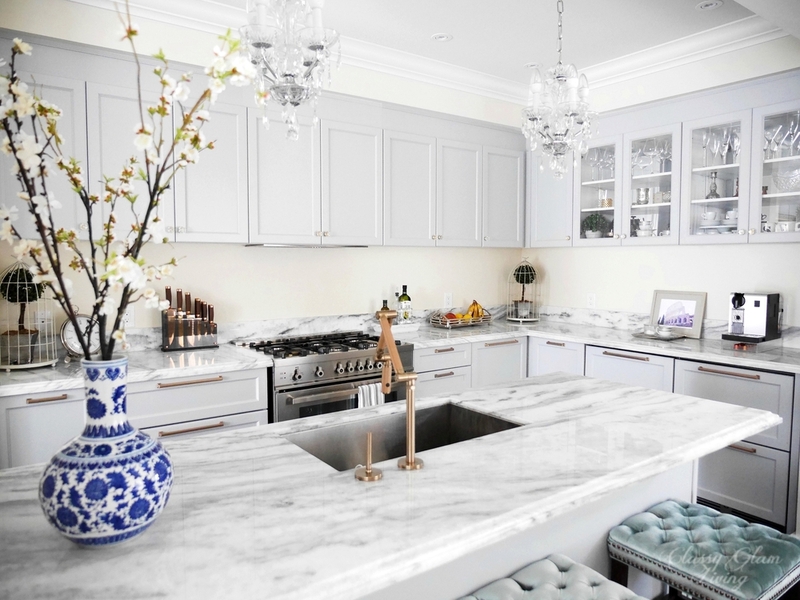 DIY kitchen island makeover from a builder's slab counter island. 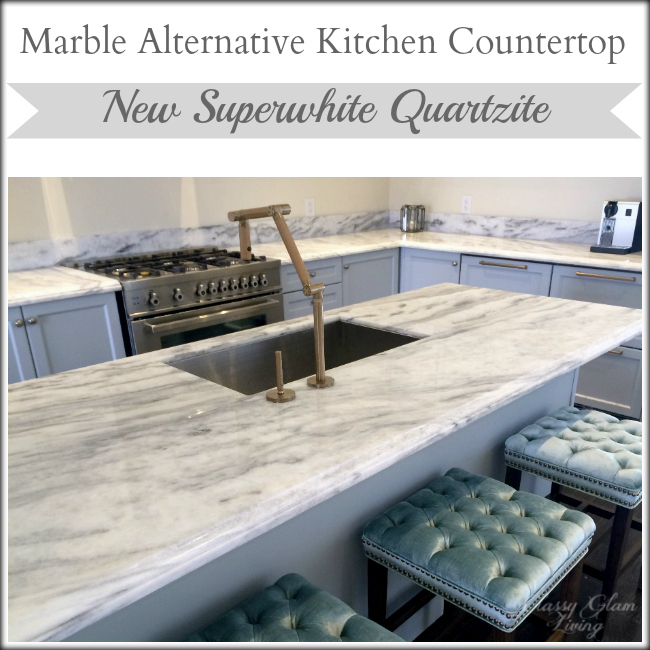 DIY kitchen island makeover from a builder's slab counter island. 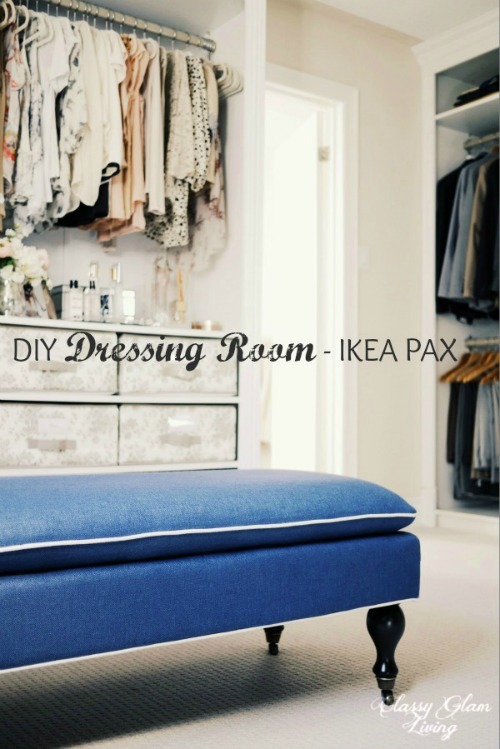 Click on photos to see related article.